This Package is not to be beaten + we’re still including it on our 0% Finance offer! 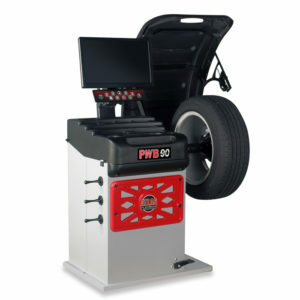 The package for serious tyre fitters who want the latest in features and technology. The Platinum experience includes delivery, installation and a familiarisation session. 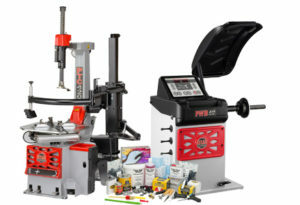 24-month parts and labour warranty is standard on this package (with the offer to extend). Get this Specialist Tyre Equipment Package now for as little as £238 a month for 2 years! That’s 0% interest. You only pay the cost of the machine. One off payment of only £75 at end of term and the machine is yours. Call now on 01527 883 580. 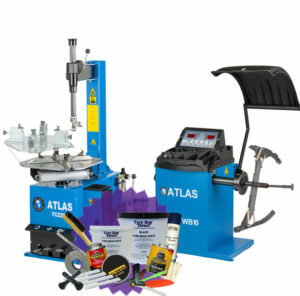 The Atlas Platinum Specialist tyre machine package is a combination of the highest specification machines on offer at Tyre Bay Direct. 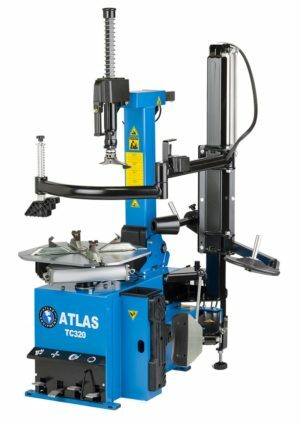 Combining the power and technology of the PTC520 tyre changer and accuracy and flair of the PWB90 wheel balancer, this really is the best tyre equipment package money can buy. Firstly, both machines are covered by 24-month parts and labour warranty and the price includes installation, there are no other charges. For even greater peace of mind, why not take out our platinum + extended warranty, giving you an additional 12 months of coverage and 3 free annual services! 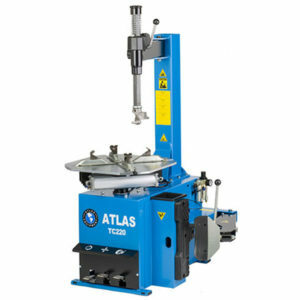 The machines themselves are the ultimate in tyre changing equipment. 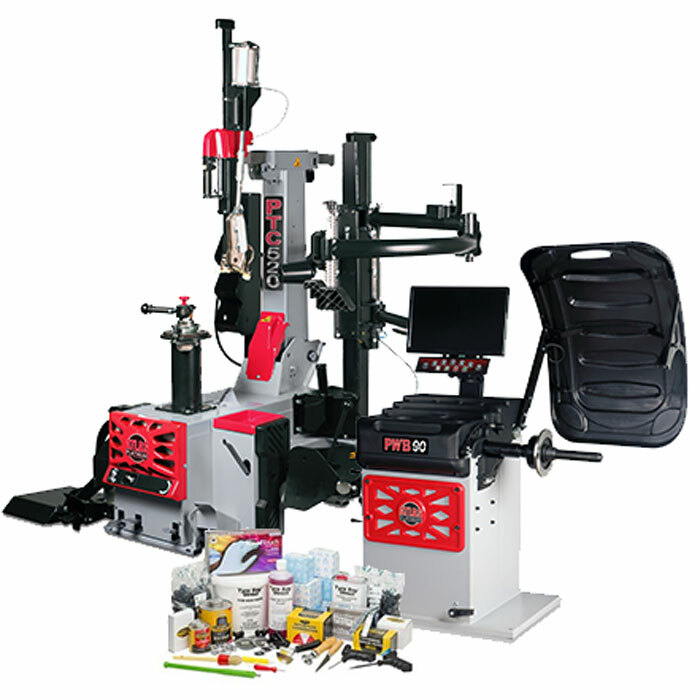 The Platinum PTC520 is a state of the art machine. 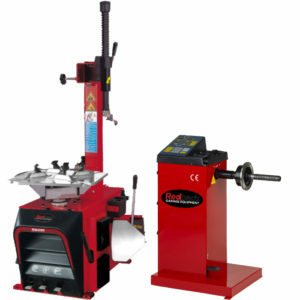 Rather than having a table as traditional machines do; the wheel is clamped on a centre post using a patented quick lock system, taking rims up to 30”, with no chance of clamping jaw damage. The mounting head placement is fully automatic and locked with a pneumatic lock. 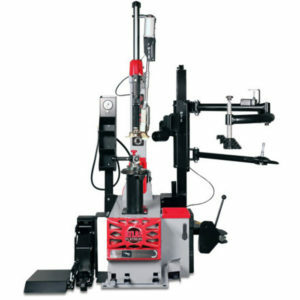 The machine also comes complete with a lever less mounting head. 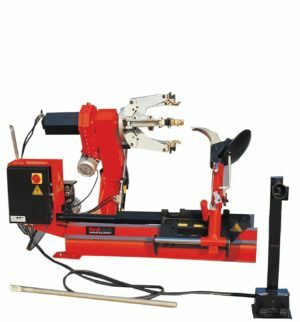 Operated by compressed air, the removal tool extends down between the bead and the rim and lifts the bead onto the mounting head without the use of levers. 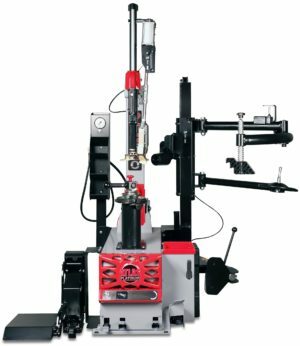 Tyre or rim damage from levers and clamping jaws can now be a thing of the past. 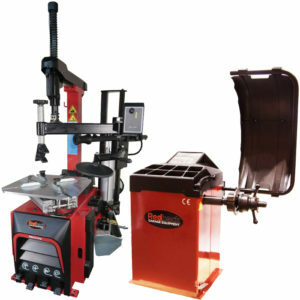 Additionally, the machine comes with a wheel lift and tool tray as standard. 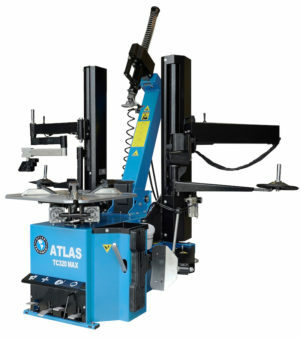 The PWB90 is the latest high-performance wheel balancer from American Tyre Equipment giant, Atlas Auto Equipment. With a high-resolution monitor display, it is not only extremely user-friendly but will also impress your customers! This is a balancer that means business!